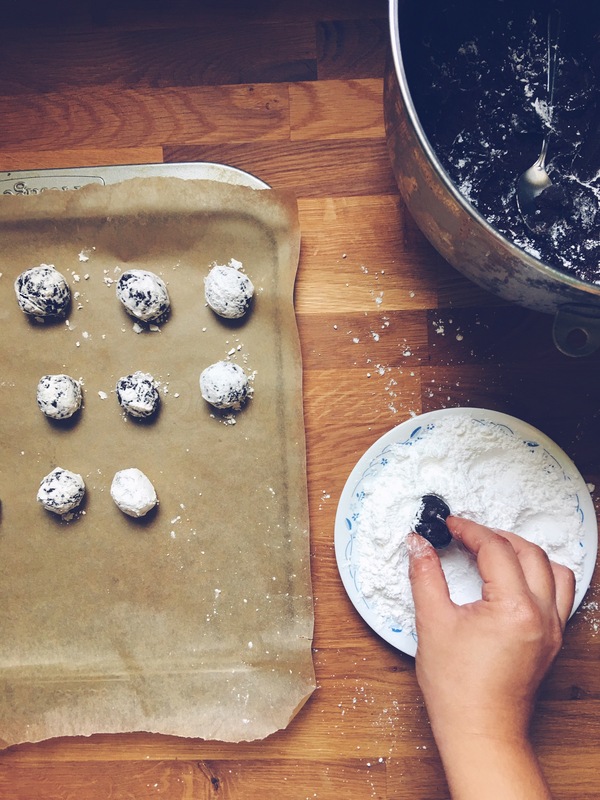 I have found many variations of how to make crinkles but this one that I’m sharing now has been formulated by yours truly (from my old blog) to make it quick and easy. It works, I promise. 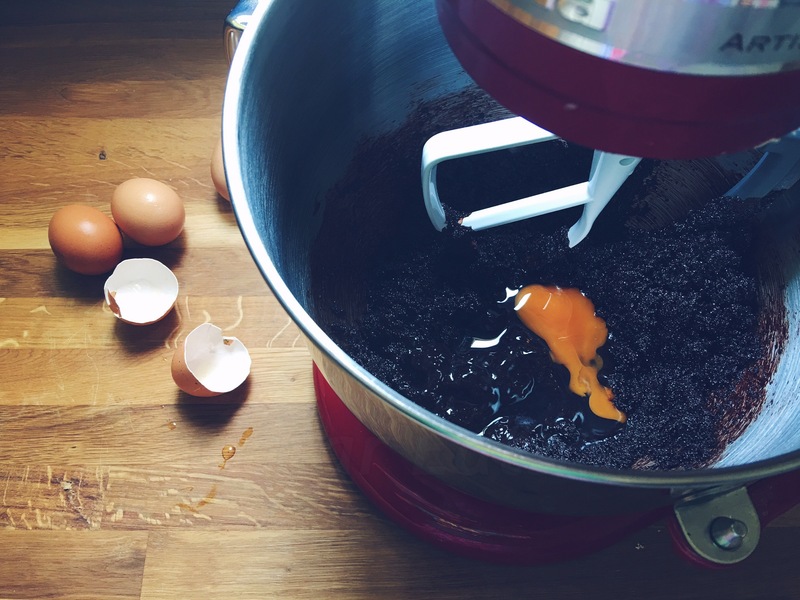 The only tricky part here is mixing the dough (that is if you do not have an electric mixer) as it can get very, very sticky. 1. 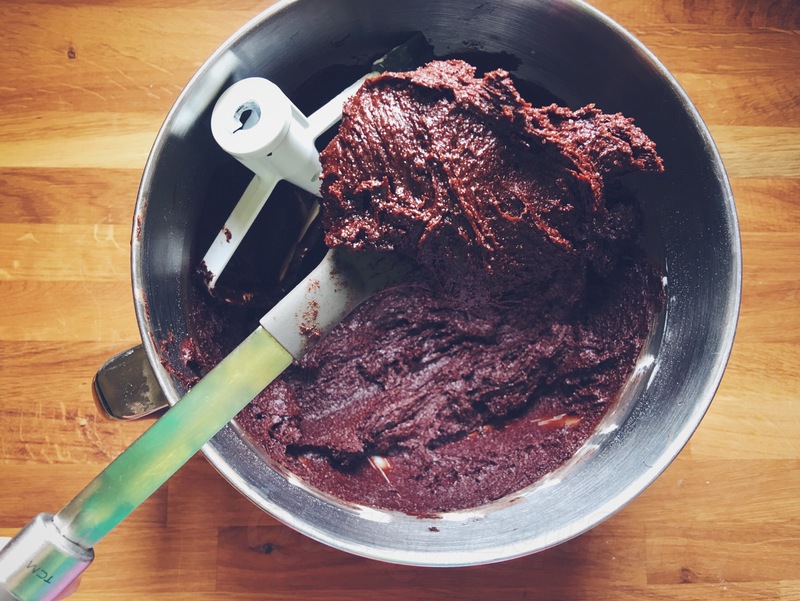 Mix the cocoa, white sugar, and vegetable oil. Beat in eggs one at a time, and then stir in the vanilla. Add the flour, baking powder, and salt into the cocoa mixture. Cover dough, and chill for at least 4 hours in the fridge or 50 minutes in the freezer. (The dough must be chilled; otherwise it will be very sticky and hard to work on). 2. Preheat oven to 350 degrees F (175 degrees C). Line cookie sheets with lightly greased parchment paper. 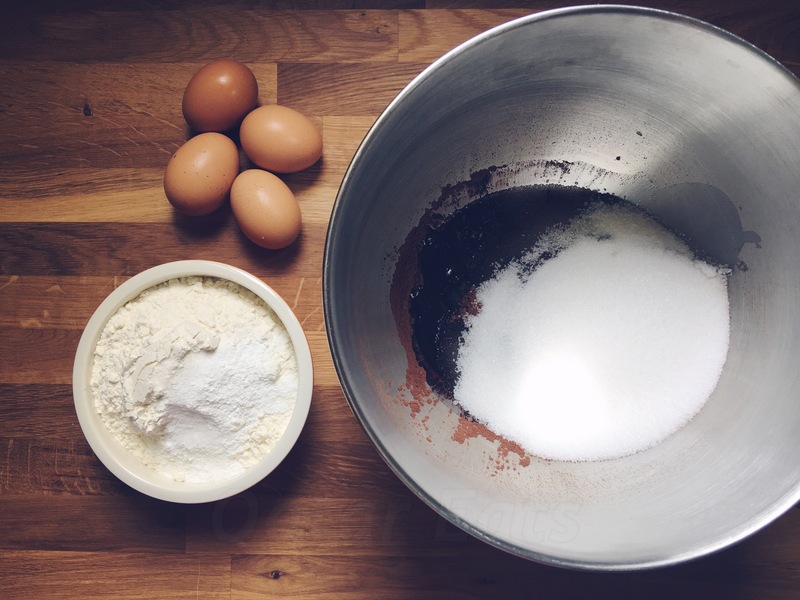 Use a teaspoon for measuring and scooping out dough and roll it to a ball. 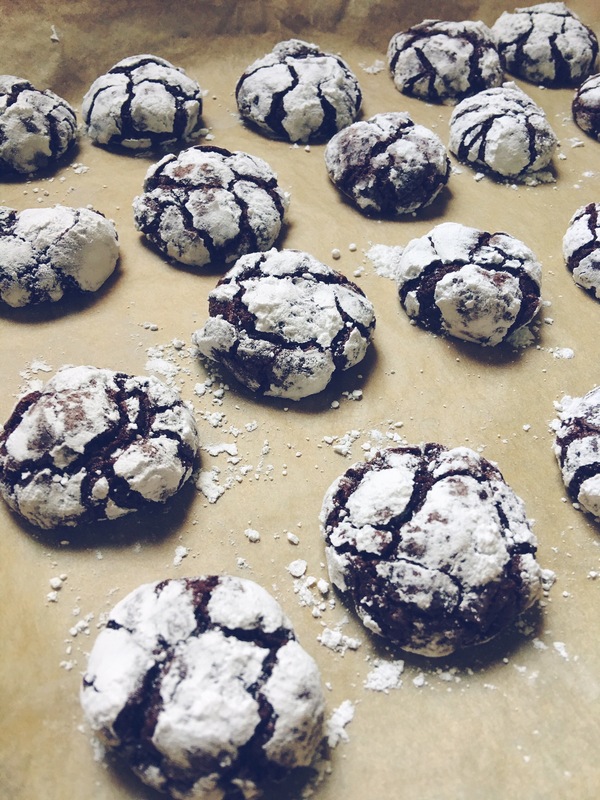 Coat each ball in confectioner’s sugar before placing on the prepared cookie sheets. 3. Bake in preheated oven for 10 to 12 minutes. Let stand on the cookie sheet for a minute then transfer to a cooling rack. This will certainly not help you in any way in your figure but sometimes, figures and numbers don’t matter when you’re in a happy place. Eating it with milk is my happy place in this world. Sigh. OMG this looks amazing! Adding it to my “must bake asap” list! !